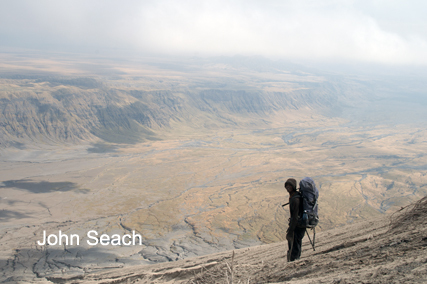 Ol Doinyo Lengai volcano (known by Maasai as the mountain of god) has an impressive cone shape and rises 2000 m above the plain from Lake Natron. The cone is composed of ash and reaches a maximum slope of 42 deg. 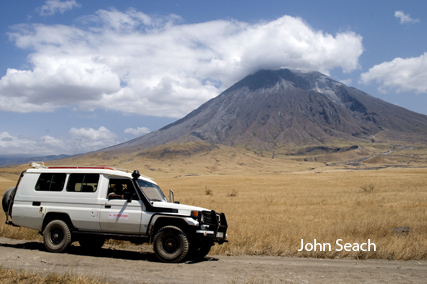 Ol Doinyo Lengai Volcano has the lowest temperature lava of any volcano on earth. It erupts at less than 600 deg C. Most eruptions at the volcano are small. 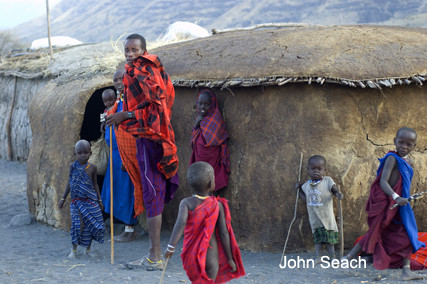 Larger than normal eruptions occurred in 1917 when vegetation was destroyed on the volcano and ashfall caused destruction of grazing land and death of herds of maasai cattle. An eruption in 1940-41 lasted for six months and ash fell 100 km from the volcano. 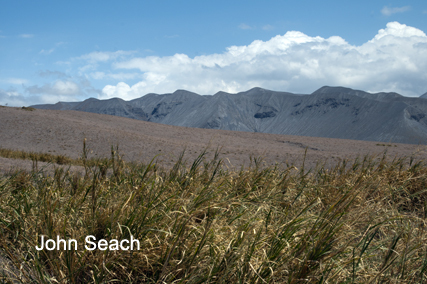 Activity at Ol Doinyo Lengai volcano has been low in 2009. An overflight in April 2009 showed two small lava cones deep inside the summit crater. The two lava cones were active in September 2008. 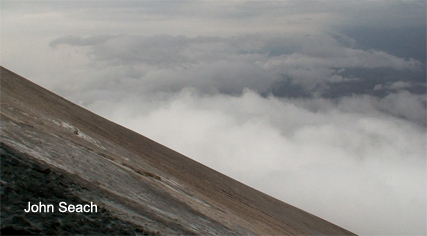 Climbing Lengai is still dangerous due to the possibility of eruptions, and the difficult terrain. During July 2007 there were a series of shallow focus earthquakes around the volcano followed by a significant ash eruptions in September and October 2007. 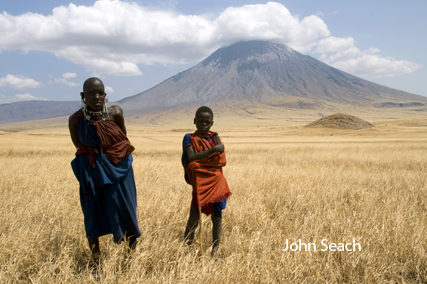 Earthquakes from the eruption were felt as far away as Nairobi, Kenya. 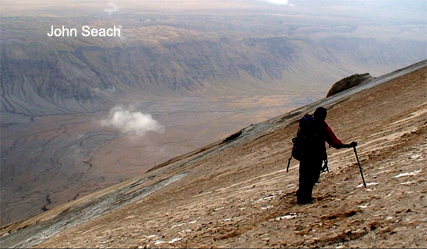 Observations were made of Ol Doinyo Lengai volcano in Tanzania during a summit climb by John Seach on 23rd July 2008. 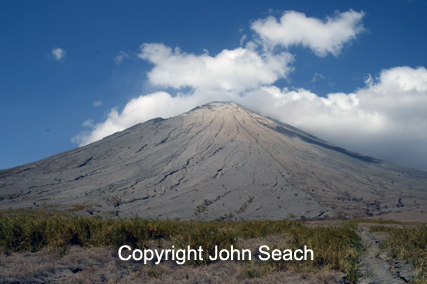 The flanks of the volcano, and surrounding areas, were covered with ash deposits from the ongoing eruptions. 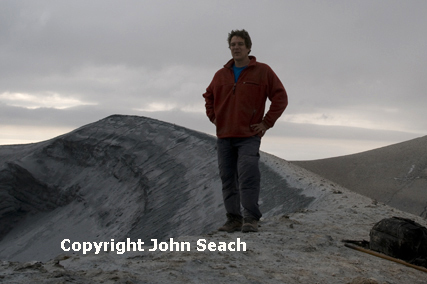 The summit contained a 100 m wide, 150 m deep crater. Continuous loud roaring noises were heard coming from the crater. There were small amounts of ash emission from the crater. Climbing the volcano was difficult and dangerous due to thick ash deposits. The largest natrocarbonatite lava flow ever recorded at Ol Doinyo Lengai volcano, occurred between 25th March to 5th April, 2006. It was associated with hornito collapse, rapid eruption of lava covering a third of the crater, eruption of a 3-km long lava flow on the western flank. The eruption was followed by enlargement of a pit crater. 2007-09, 2001-06, 1994-98, 1983-93, 1969?, 1967, 1960-66, 1958, 1955, 1954, 1940-41, 1926, 1921, 1916-17, 1914-15, 1882-83, 1880.